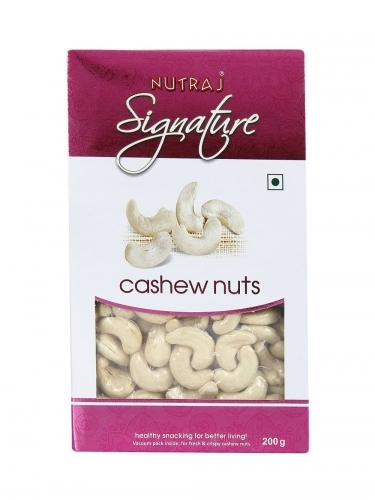 Cashews are one of the most popular dry fruits and are used extensively in almost all Indian sweets. Be it laddoos, puddings or kheer, there’s no sweet delicacy that gets away without using them. These tiny pieces of deliciousness pack a whole lot of health benefits. They prevent cancer, control blood pressure, help maintaining a healthy heart, keep hair healthier, keep bones and nerves healthy, help in weight loss, help in digestion and also maintain dental health. Although cashews are one of the lowest-fiber nuts, they are packed with vitamins, minerals and antioxidants. Nutraj Signature is a Jammu based retailer of healthy food items. Its parent brand, VKC Nuts was found in 1926.